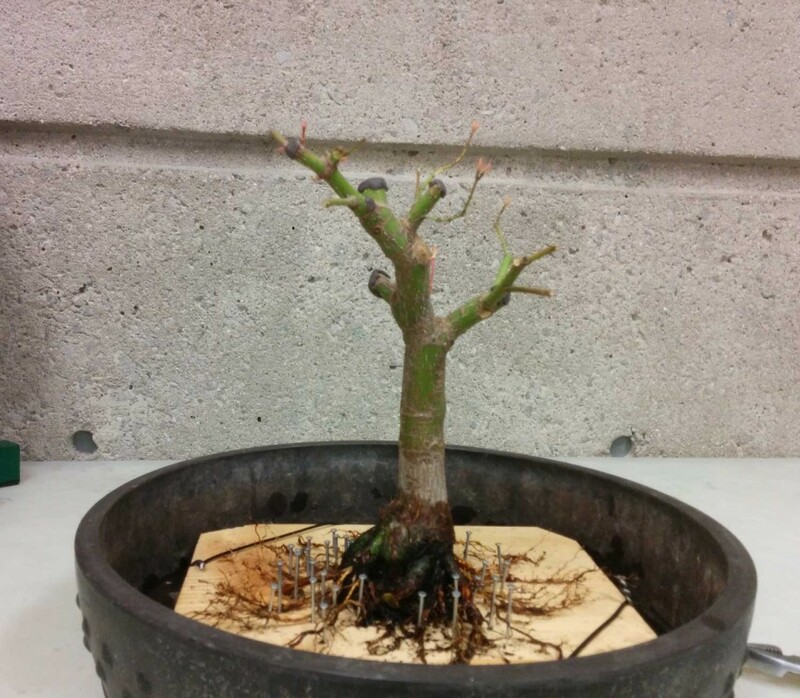 Way back in 2011 I remember seeing this Bonsai Tonight post of a Boon Manikitivipart workshop where a participant tried out a root arranging technique of the deciduous bonsai genius Ebihara. What a great idea, right? Last summer I acquired a maple that turned out to be perfect to try this technique on. 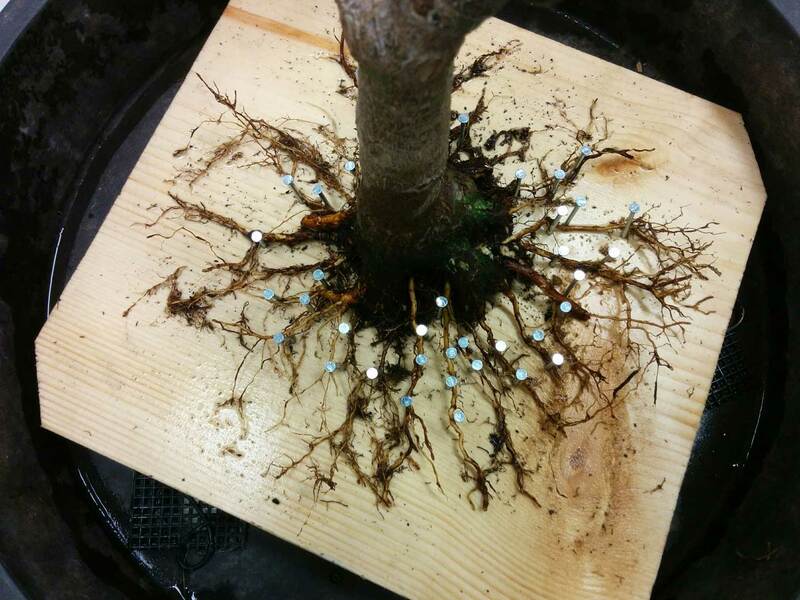 It already had several years of root training therefore a good number of flexible lateral roots were present. Still, a fair amount of prep work was needed. The base of the rootball needed to be completely flat and all unnecessary roots removed. Hopefully this will improve the nebari as I rebuild the branch structure of this tree over the next several years. As a side note, Boon posted an update about the tree in the Bonsai Tonight post on Facebook. Apparently using plywood was a mistake as it rotted quickly. Keeping that in mind, I used pine.